According to Hon Walwyn, he has been advocating for the payment delays to cease and hopes for the upcoming budget that they could get that problem rectified. The minister was among other members of the VI Festival and Fairs Committee (VIF&FC) at a press conference yesterday, July 4, 2017, to unveil the entertainment line-up for this year’s Emancipation Festival and to award persons who won prizes for the coining of the theme for this year's observances. Reporters swamped the minister about costs and payments to vendors as these continue to be recurring issues over the years. 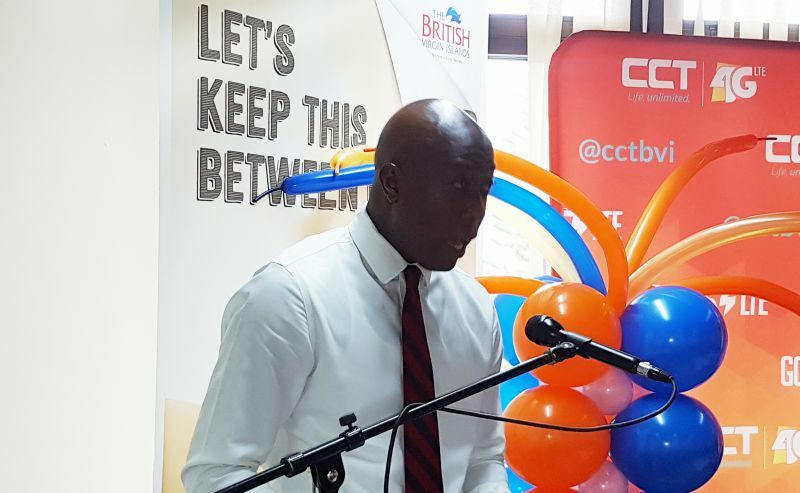 "It is something I have been saying to my colleagues, the Minister of Finance as well, that we need to get that corrected," Hon Walwyn responded. 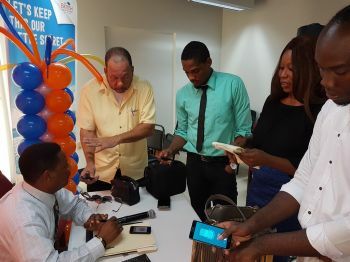 Reporters were told that monies totalling about a half a million dollars were approved in the national budget, similar to the amount allocated for the past decade, and was, as is customary, handed over to the festival's committee ahead of the activities. However, Hon Walwyn explained that there are usually other bills that are incurred for festival activities that exceed the $0.5M. "And that is handled through a supplementary appropriation. I am saying that is a practice that needs to be stopped." On the other hand, in the case of the yearly cries of local artistes that they need to be paid in a more timely fashion and treated evenly as international artistes, Hon Walwyn, when questioned by reporters, said "I am not sure what you call on time. We guarantee that we would give them and I know that they can stand by the guarantee that they would be paid." The minister said payments can be as late as December of the said year. Chairman of the VI Festival and Fairs Committee, Mr Trefor A. Grant supported Hon Walwyn’s position. "I think we have been very open and honest with the bands and we let them know that this year is going to be no different to last year as it relates to final payments." Mr Grant explained that the committee tries to give bands a 50 percent advance but noted, "If they don't get the 50 percent, they get it all by December. That's what the situation is and we are really open and honest about that." This arrangement and understanding, Mr Grant said, has not hindered in any way the participation of local bands in the 2017 Virgin Islands Emancipation Festival. "Actually we have had more interest from the local bands," Mr Grant claimed. Each time you open the paper, a negative comment on Walwyn. It is obvious now that some person(s) don't appreciate the man. Guess what, he is none of your puppet. He has his own mind and holding his own. Courage for our great leaders, that they may rule ou8r destiny...cherish this legacy. ****** acts just like a megalomaniac, obsess with power. He loves being praised whenever everything going right and ready to throw any and everyone under the bus whenever things going wrong in his ministry. The signs of the most dangerous kind of dark leadership. hush yo mouth, it's obvious you're not a BVIslander because it's only immigrants support ****** through all the nonsense and lies he engages in. I can bet any money that because of him you have rights or permanent residence and or maybe he's promising to get the same for your children. Every single time this man opens his mouth is lies and excuses after the next. Only ignorant persons like your self and basically the young and uninformed and those getting something from him (immigrants) stand so strongly by him because the rest of us can see through his guile. He is toxic and anyone with sense can see that. When he so proudly takes the spotlight to tell his lies and not accept responsibility for mistakes he has made and the lack of transparency that he operates with, why don't he 'man up' for once. I know there's no politician that hasn't made mistakes but ******* seems to think he is the only one who is without flaw. He could never be a leder he takes blane for nothing! He not tire throwing dr smith under the bus? Bvi outsiders airways and destra get payment on the spot while vi airlink and the locals have to wait.locals let's make ndp wait on our votes also. He isnt throwing anyone under the bus he his jus saying you need to account for the full cost of festival one time - not try and break it up. Allocate the correct expenditure so you can correctly work out how much income required. How about the Festival and Fairs Committee do their job. They no longer do fish fry or anything to help themselves all they do is live on the Government pocket. There are more important things that needs to be done for this Territory than FETEING. It's not like we are actually celebrating our Emancipation since that's what the celebrations are really suppose to be about. What do you expect from Grant? He will always have to sing for his supper under Walwyn. the funnyman, grant and his crew want to charge $25 for entry. Ah wa de a$$!!! is this an emancipation celebration or are they trying hard to emancipate us from our few pennies? Ah wonder if they realize how much cotton we had to pick for these few dollars we make these days. Man, y'll have to rethink this thing through. This suppose to be our emancipation festivities, not cotton picking time. The question you should ask- Is it truly Our Emacipation Celebrations - or paying for SLAVERY by another name? So Hon Walwyn, let me get this straight. You dont want to go through standing finance committee and allocate money in the budget for the territory with the rest of your colleagues in government and abide by it huh? If you want to spend this kind of money on festival from government coffers then get the government to agree to it upfront in the budget and stop trying to fool people. You want to decide on your own that festival should cost 1,700,000 instead of the budgeted figure of 500,000? Then over spend you budget by more than 1,200,000 and ask that much from the same government in a supplementary after they already agreed to 500? Every department gets budget cuts but you still spend what you want. You are a 1 man band, you don't need the rest elected members. Smh. Keep over spending, Dr. Smith will continue to pay for it and you will say it's his fault the payment late. Wow! This wilful, blatant, wasteful spending needs to stop, and to add insult to injury you bring the same artist again. I wonderror if when people voting they think about these things? Paying $25.00 on international nite might be fair ; but we never hear what becomes of that money . Does that belong to the GATE KEEPERS ? At least then ; pay LOCAL bands from that since INT. ARTISTE are paid in advance . Blaming your premier about payments does not make sense. You must make shure that your festival committee raise funds during the year after the festivities end so there will be money for the next year activities. Government contribution should be a set sum. Cut out the three festivals and bring all parade to the capital. There can be a day of activities in the other places just as before. How many times are we paying expatriate artists for our emancipation festival? Think about it. Invite the business community to help, but it must be local and cultural. We are celebrating something special. Thank you, VINO, for not like Zan & crew calling MVW a "master" He is a shameless opportunist who presents a great case for term limits.